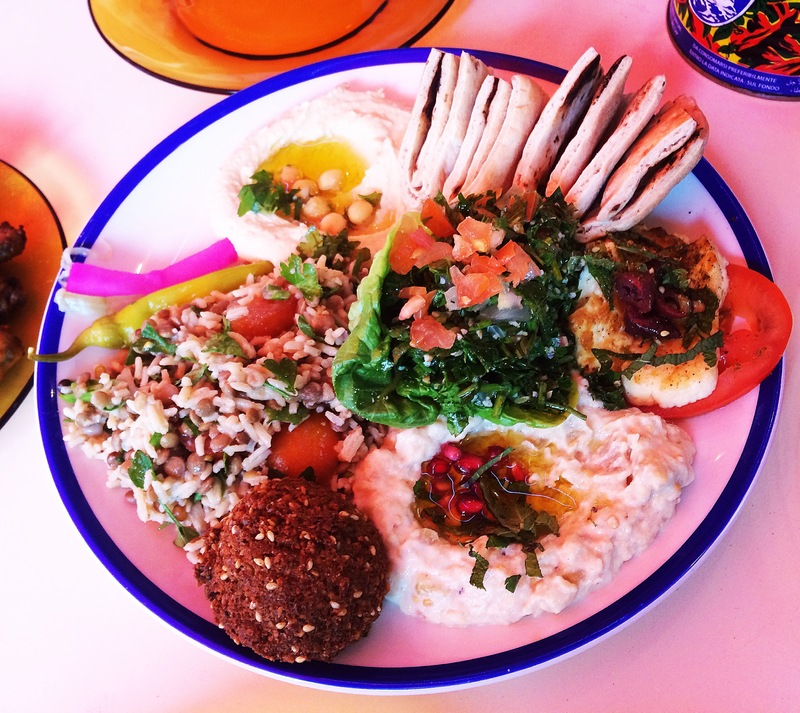 Comptoir Libanais is a small chain of restaurants offering fresh, healthy and affordable Middle Eastern cuisine. 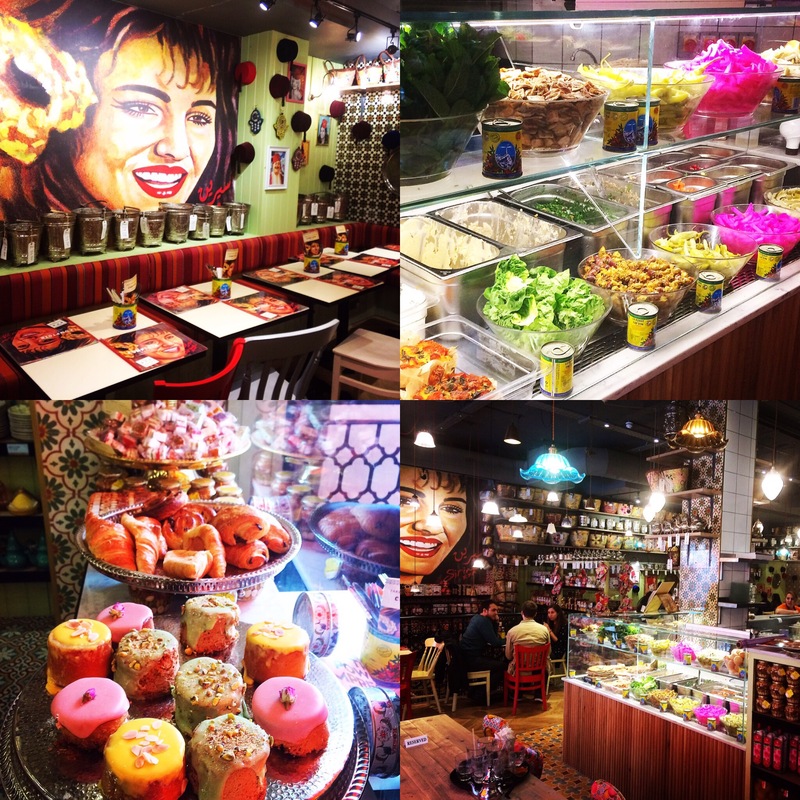 Comptoir Libanais translates as Lebanese Counter…relating to the deli style food displays in the centre of the restaurant. The vibe is relaxed and fuss free. 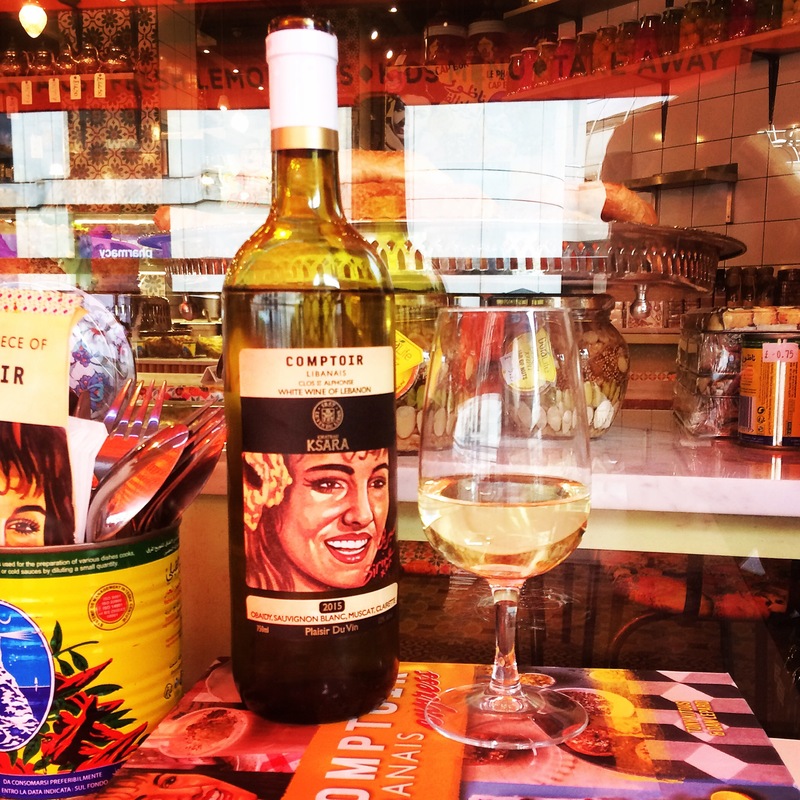 Whether you want to pop in to pick up a quick wrap for lunch, or lesiure over a Mezze plate with a bottle of wine Comptoir Libanais is a fantastic dining experience offering wholesome Lebanese food in a souk-like setting. Matt and I are big fans of Middle Eastern cuisine. I’ve never been to Lebanon but I worked just over the border in Haifa, Israel in my twenties where I fell in love with the tastes and flavours of Arabic cuisine. 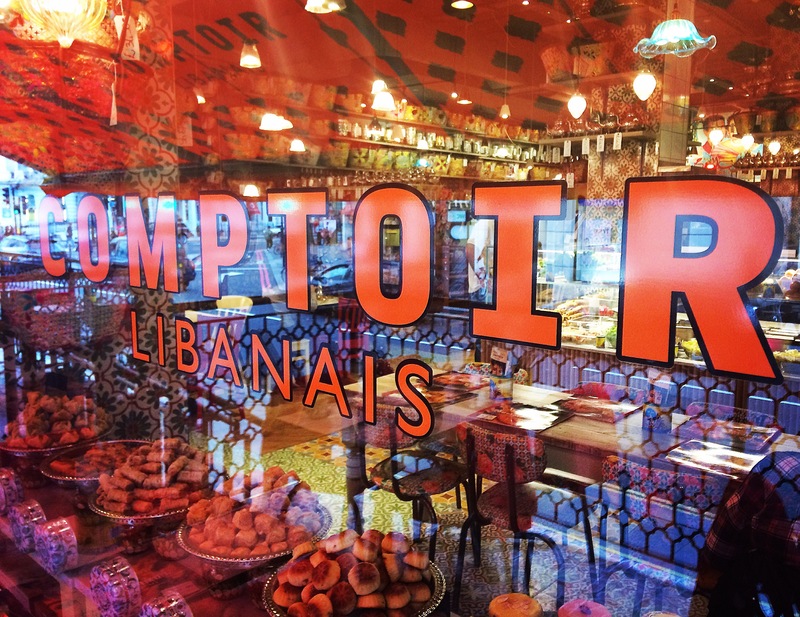 Visiting Comptoir Libanais was a gastronomic trip down memory lane. A real escape from the hum-drum of everyday life. Like a two hour mini-break to a chilled out souk selling incredible street food. 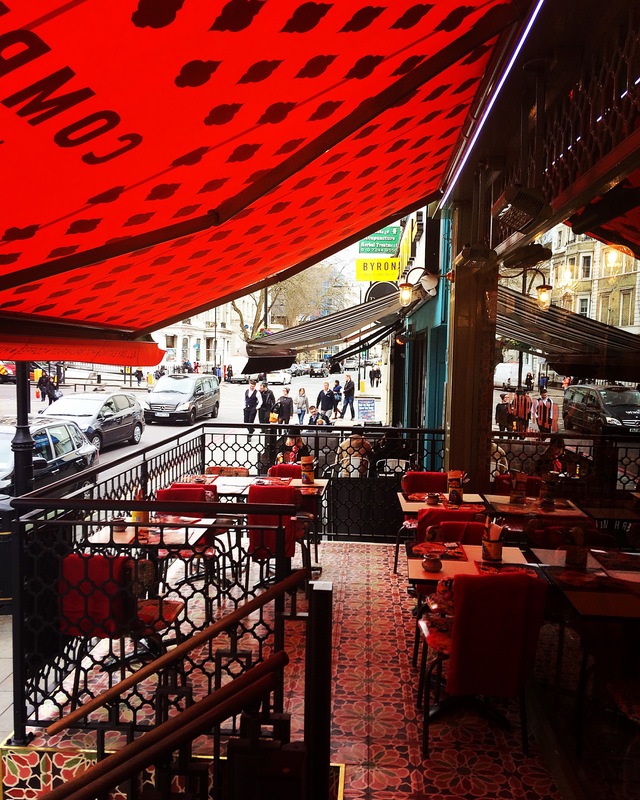 Initially we ended up at the wrong destination for our meal, as just down the road in South Kensington is another branch of Comptoir Libanais. Now, despite their proximity the two branches are very different venues: the South Kensington branch is very busy and Gloucester Road is more subdued. When we visited the South Kensington branch at 2pm on a Saturday afternoon there was a 20 minute wait, with the queue out of the door and no visible seating available at all. 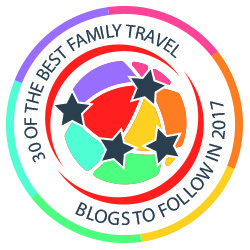 Whilst this is a fantastic advert for a great experience…. at the same time the Gloucester Road branch was incredibly quiet. We were able to have our choice of table and service was impeccable. 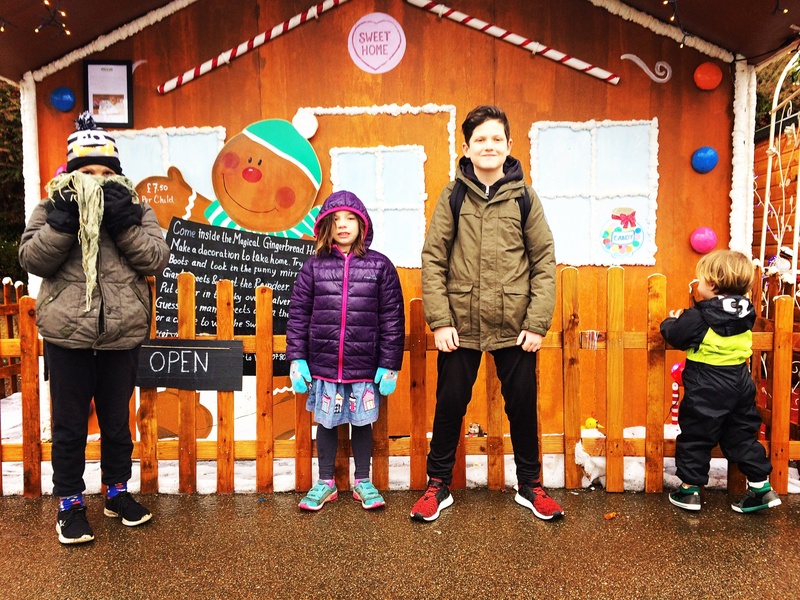 Now the craziest thing is…it took us less than 5 minutes to travel one stop on the tube from the South Kensington branch to the Gloucester Road branch! So..here is my tip…if you ever find yourself facing a wait at the well established South Kensington branch hop over to Gloucester Road. You’ll be sat down with your drink in hand before you’ve made it half way in the queue at South Ken! Finally making it to the right restaurant we are greeted with the warmest of welcomes..like old friends. We both agreed that we felt like guests rather than customers. The Manager told us a little background information about the type of dining they offer and we chatted about the incredible decor. The walls and furniture are awash with dazzling colours. There’s geometric flooring, bold patterned tables and chairs and beautiful ceramic tiles..even the toilets are stunning. Just walking into this place could brighten the most miserable of days! We chose to brave sitting out on the terrace. We are warmed by an effective heater above us and were offered cosy blankets should we need them. Again the decor outside is smart and appealing…albeit not quite as bright as the interior. There is a heavy canopy to ensure the area is sheltered and dry and more of the beautiful ceramic tiles. We ordered a bottle of the Comptoir Libanais house white (£18.95) and Matt also ordered a beer. The house white is, of course, from Lebanon and is a lovely light wine with some subtle citrus flavours. Matt tried the Almaza (£3.75), a Lebonese beer which, although much like a typical larger, had a lovely hoppy kick. We ordered the Mezze Platter to share (£15.95) as a starter. This gorgeous dish offers a selection of baba ghanuj, hummus, tabbouleh, falafel, lentil salad, halloumi, pickles and pitta bread. Not only does it look incredible it’s a great way to try a little of everything. For me the highlights were to falafel and the baba ghanuj…I love falafel but this had a lovely mix of coriander and garlic that hit the spot. We also indulged in a plate of Jawaneh – chicken wings (£5.25) and Lamb Kibbeh – lamb parcels (£5.50). The Lamb Kibbeh is something I haven’t tried before but I absolutely loved them! They look a bit like falafel balls made up of minced lamb, pine nuts and onion. They are slightly dry on their own but mixed with the yoghurt they are served with the dish comes alive. I would definitely recommend you try them! 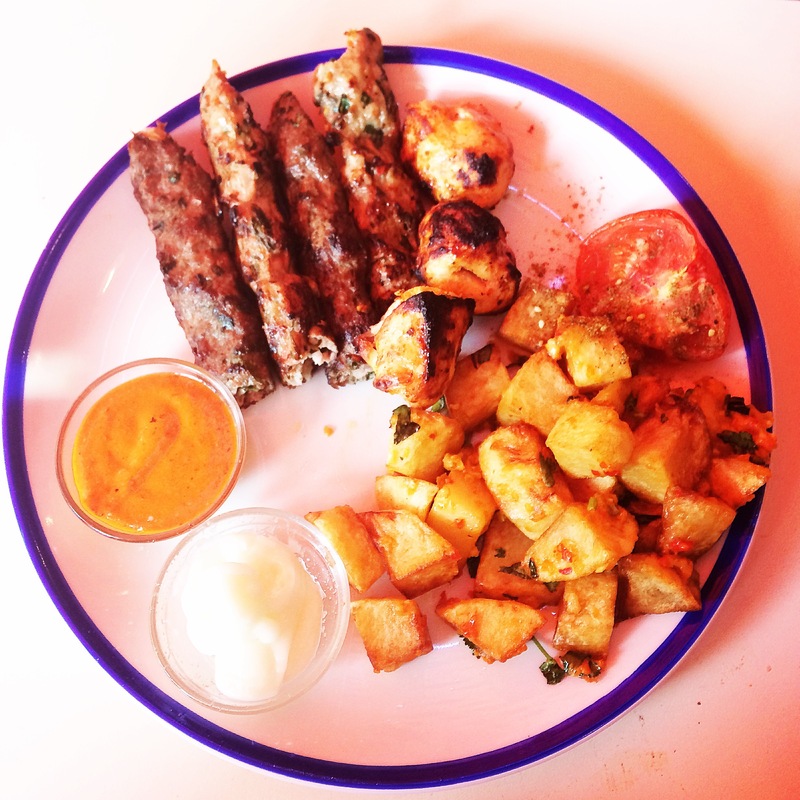 For our main courses Matt enjoyed a Mixed Grill (£13.25) – a selection of lamb kofta, chicken kofta and chicken shish tabuk served with potatoes. The koftas were slightly chargrilled and dusted in delicious spices. I ordered the Lamb and Prune Tagine (£10.95) which came with butternut squash and peas and was covered in a layer of almonds. 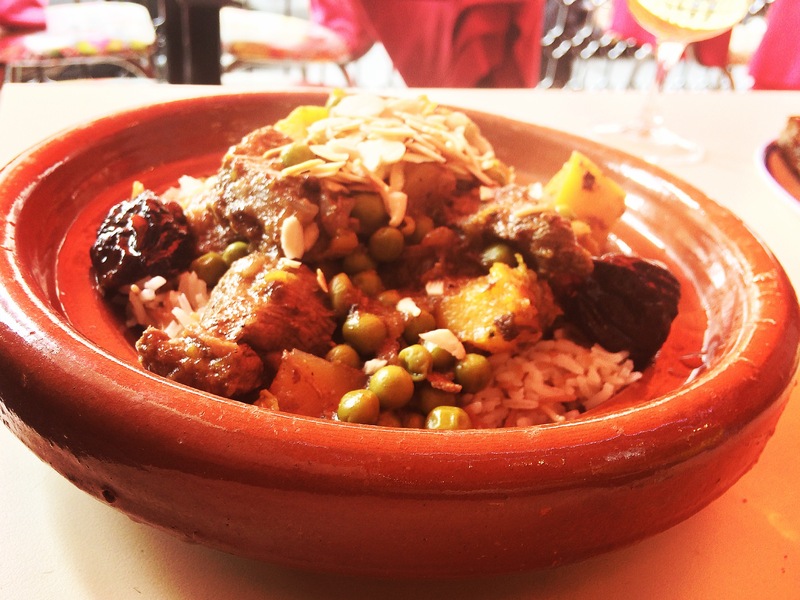 I loved the tagines we tried on our travels in Morocco and was keen to compare the dish on home turf..the lamb was melt in your mouth and the prunes a sweet contrast. After relaxing and watching the world go by…and feeling a lot more relaxed than when we arrived we decide to top off the meal with something sweet. We asked our waiter to bring us a selection of the Baklawa Pastries that had been beckoning us through the window since we arrived. He delivered a plate with a selection of 5 pastries (£3.95) filled with a mixture of cashew, walnut and date. The perfect sweet finish to a truly fulfilling meal. Reluctant to leave we lingered over an Apple Jack cocktail (£7.95) and some Rose Mint Tea (£2.45). 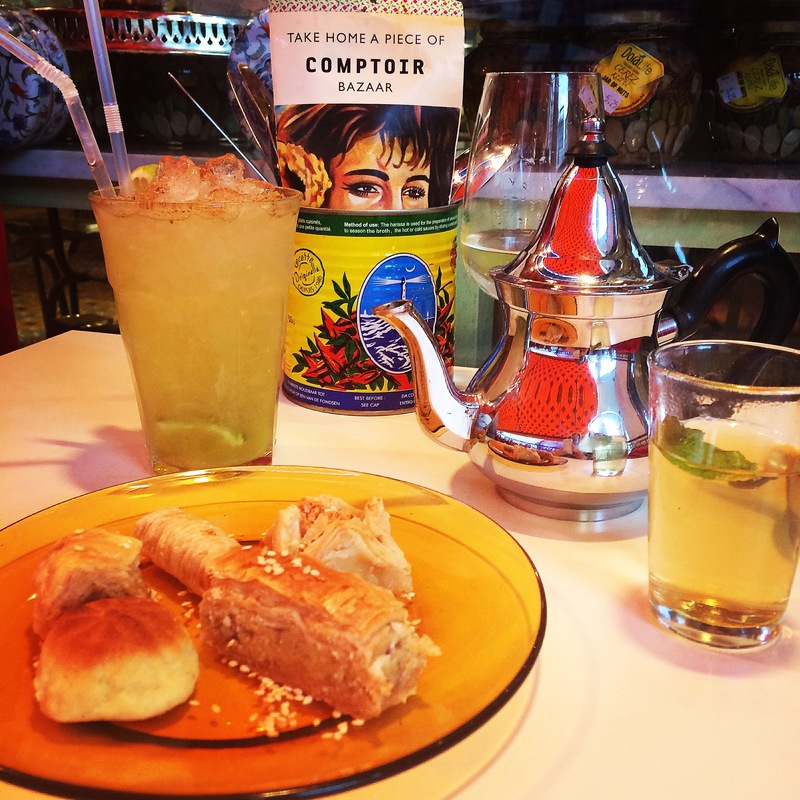 After 2 hours dining and drinking in the experience of Comptoir Libanais both my husband and I felt ten times more relaxed than when we arrived. 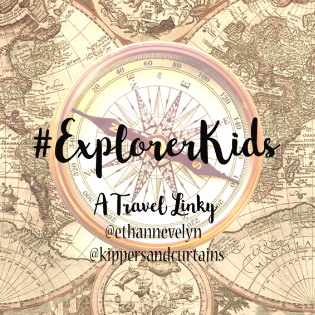 We’d been treated incredibly well, tried both familiar and new dishes and embraced a small slice of laid back Middle Eastern living…sitting back and watching the world go by. 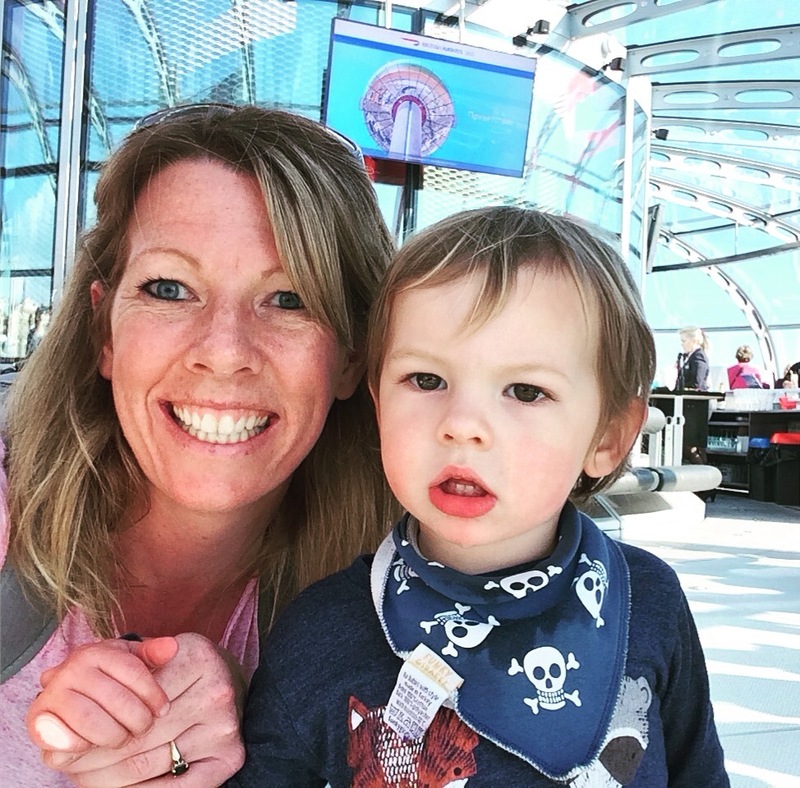 I felt this was more than just dining, this was a full on cultural experience…one I’d happily return to any day! 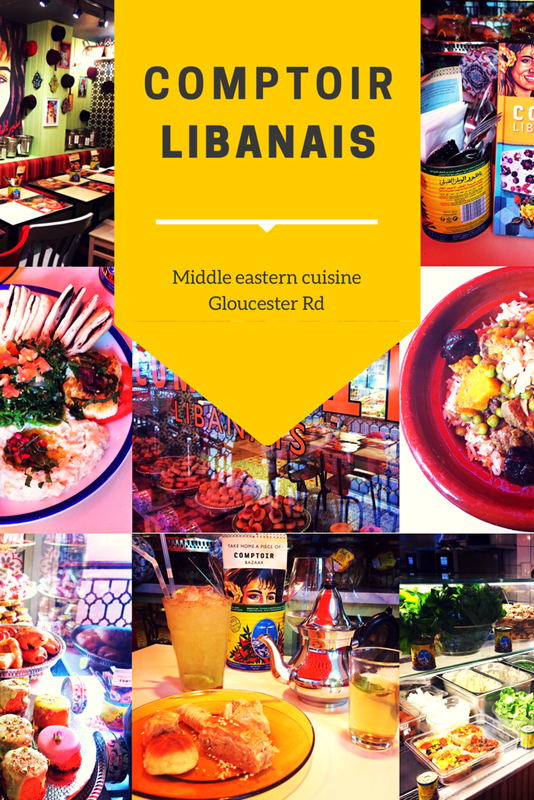 We were treated to our meal by Comptoir Libanais for the purpose of writing a review. All opinions expressed are my own. 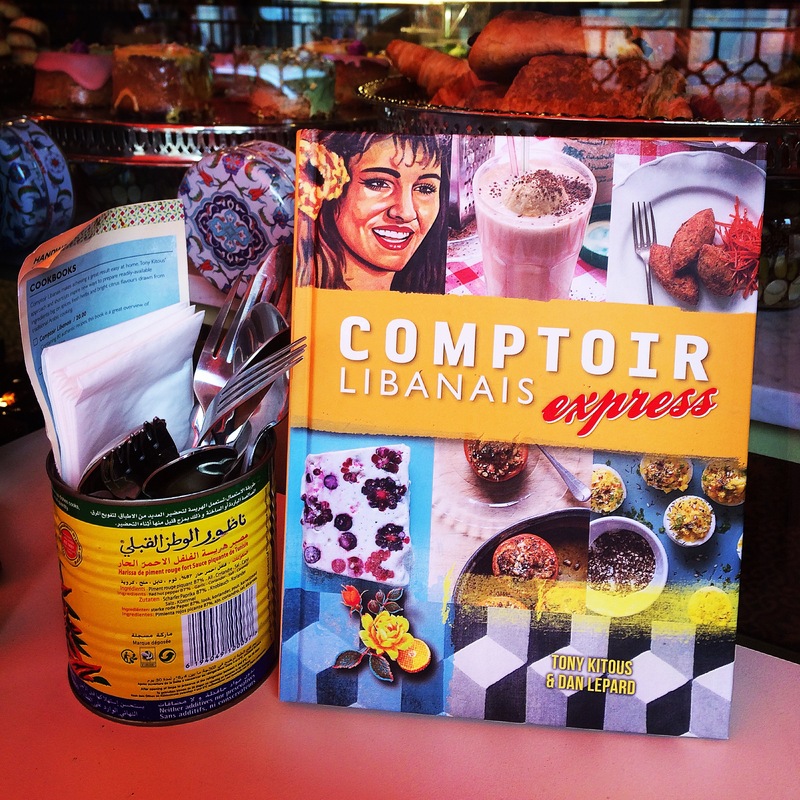 I would like to say a huge thank you to all the staff at Comptoir Libanais who looked after us so well. Oh my, you have just managed to make me really hungry reading this. It all looks absolutely delicious and the decor and terrace dining looks great. I am visiting London soon with my eldest daughter, we need r commendations for lunch, this looks perfect.